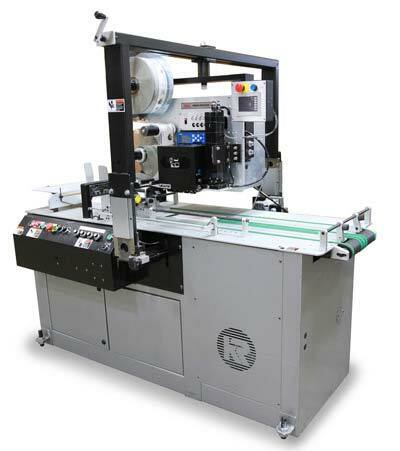 The Kirk-Rudy KR215IJ Shuttle Feeder is a high-speed, off-line feed and transport system for use with Weber pressure-sensitive label printer-applicators and label applicators. It's the easy and accurate way to feed your flat products like knocked-down cartons, pouches and inserts into an automated labeling system. You can stack up a large quantity of products in the shuttle feeder and they will be evenly dispensed down the line for labeling by a Weber printer-applicator system located over the end of the Kirk-Rudy transport. Weber's Model KR 215 IJ from Kirk-Rudy is capable of feeding and conveying a wide variety of materials at up to 600 fpm. It's an ideal high-speed, off-line feed and transport system for use with Weber pressure-sensitive label printer-applicators and applicators. The Model KR 215 IJ is a perfect solution for feeding knock-down chipboard and corrugated cartons. Its fully adjustable hopper quickly and easily adapts to a full range of carton sizes. And the unit's load-from-the-top, feed-from-the-bottom design keeps jobs running smoothly and non-stop. The system is available in a number of configurations and includes a diverse selection of options and attachments.